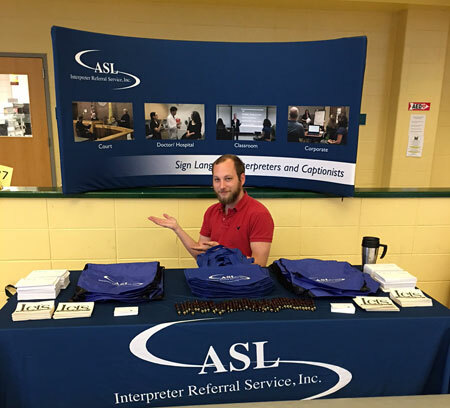 Danielle and Dominick went to Montgomery High School on April 28th 2016 to represent ASLIRS and explain the interpreting field to the students at their career night. The pair enlightened the students about why ASL interpreters are important and suggested the students take a class when they go to college. A few of the students expressed their desire to have an ASL class at their high school but it was not offered. 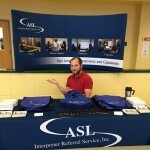 The students were given information about the company along with branded take-homes so they could get connected to ASL clubs and do more research after. or call us at 800-275-7551.